● International standard signal output: 0-10mA / 4-20mA / 0-5V / 0-10V, etc. 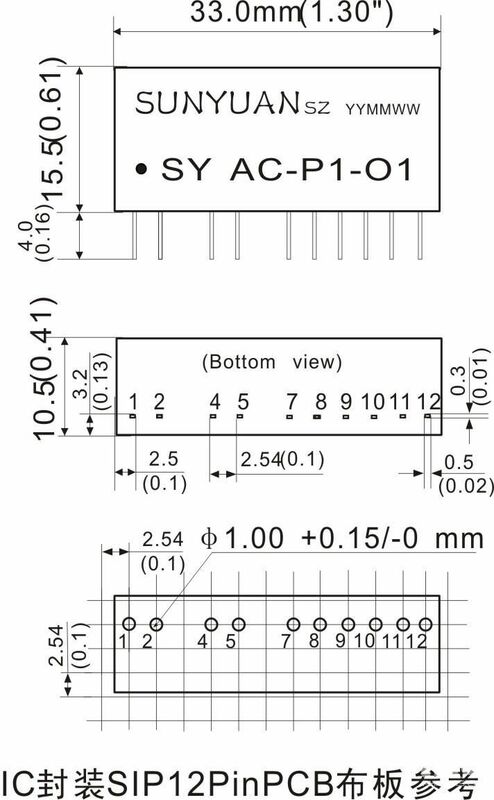 SunYuan SY series AC/DC signal low cost two isolation transmitter is a hybrid integrated circuit that converts AC signal acquisition into linear DC signal. The circuit integrates a set of multiple isolated DC/DC power supplies and a set of AC/DC signal conversion circuits on the same chip. The 0-1Vrms (50~60HZ) power frequency signal collected by the sensor (AC transformer) can be proportionally converted into 4-20mA/0-10mA / 0-20mA DC current signal or 0-1V/0-2.5V/ 0-5V/0-10V DC voltage signal. IC packaged products can be combined with external AC transformers to form single-phase or multi-phase fully isolated transmitters, achieving 3KV three isolation between signal input and output signals and auxiliary power supply. The products are widely used in the fields of generator or motor safe operation monitoring, remote monitoring of power transmission and distribution, instrumentation and sensor signal transmission and reception, medical equipment safety isolation barrier, industrial automation control and so on. SunYuan I type standard DIN35 rail mount multi-channel two-isolated AC/DC converter, it equipped with multiple SY AC-PO series integrated modules, which can realize one input and one output (DIN1X1), one input and two output (DIN1X2), binary Two output (DIN2X2) and other analog voltage conversion functions of AC voltage to DC voltage or current. The internal anti-surge suppression protection circuit is added, and the product is more convenient, safe and reliable.